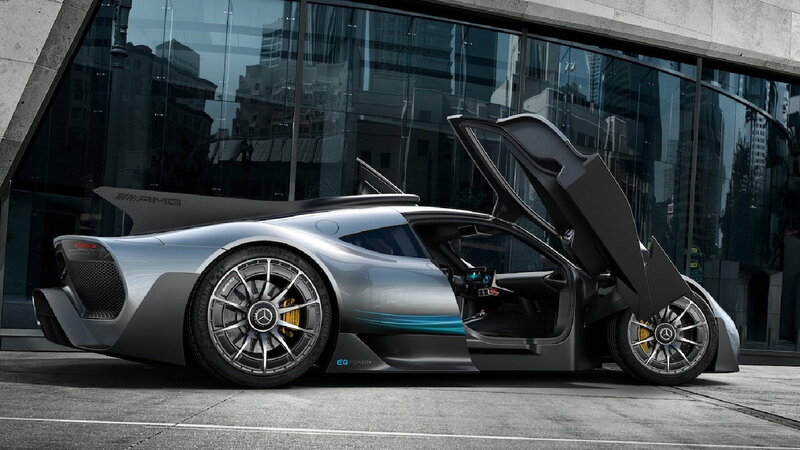 Essentially a road-going Formula 1 car, the Mercedes-AMG Project One is bound to be the best hypercar to date. When Tobias Moers was promoted to CEO of Mercedes-AMG in 2013, he did not believe the company was in a position to produce a cutting-edge Hypercar. 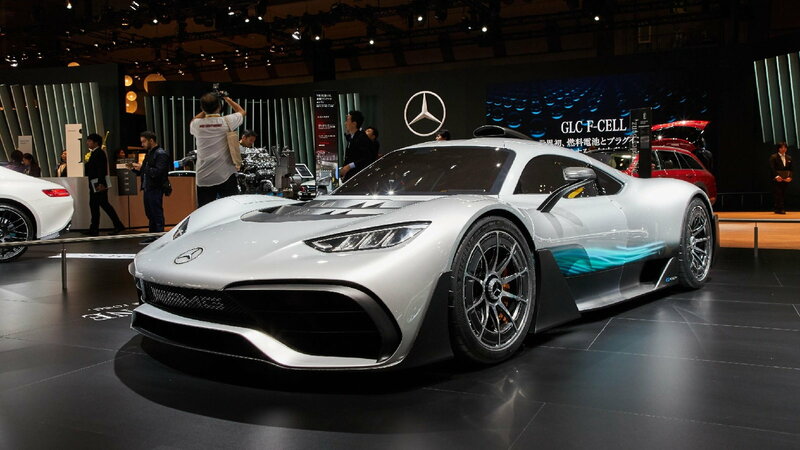 However, after numerous meetings with customers asking him why AMG was not getting involved in the Hypercar scene, which is largely a platform to showcase a manufacturer's technological prowess, the creative juices in Moers' mind started flowing. Instead of producing something with a massive V12 engine or a turbocharged V8 as had been done by Mercedes in the past, Moers wanted this new venture to be something much more unique, thus he made a phone call to Andy Cowell (Powertrain Director of AMG) to see if their Formula 1 car engine as driven by world champion Lewis Hamilton could be used in a road-going application. >>Join the conversation about the AMG Project One right here in MBWorld. Racing engines are typically high-strung machines with very short maintenance intervals that are often out of their element on the street, but with Formula 1's strict engine limitation rules, reliability has been at the forefront of engine design. Reports claim that it took Cowell about a month of research before answering Moers' engine application question, but he surprisingly said the magic word "yes" and the Project One was almost immediately greenlit. Apparently, the 1.6L turbocharged V6 was lifted directly from the Mercedes F1 W06 as raced in the 2015 Formula 1 World Championship to get the project rolling, but some tweaks would have to be performed in order to make it suitable for a street car. Emissions, vibrations, and noise levels may not be enforced in Formula 1, but there are stringent standards that must be adhered to when producing a vehicle for the road. Much of the work that has gone into the road-going F1 powerplant has focused on these areas, but for reliability purposes, the engineers slightly lowered the compression ratio and cut the rev-limit down from a screaming 15,000 rpm to 11,200 rpm. The engine is said to make an impressive 520 horsepower out of a minuscule 1.6L (98 c.i. ), which is not far off of the 600 horsepower mark in its F1 application. 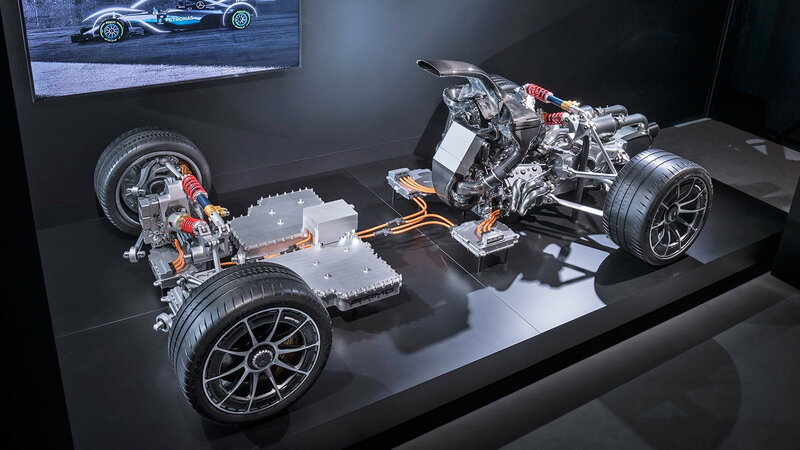 No Hypercar is complete without some sort of hybrid or kinetic energy recovery system, so naturally, AMG would turn to their Formula 1 program once again for some incredibly advanced technology. To reach the mythical 1,000 horsepower mark, the entire hybrid system from the F1 car was also used. The two electric motors used on the front axle are each about the size of a coffee mug and can turn an unprecedented 50,000 rpm which is good for 161 horsepower. An additional 120 horsepower electric motor is used within the turbocharger itself to reduce turbo lag for a quick spool while also being able to recover the turbo's heat energy. Finally we have the last electric motor that is coupled with the engine's crankshaft for an additional 160 horsepower. Moers explains that the exact same battery technology from the F1 car is used in the Project One, but they have simply added more battery cells to increase capacity for 15-20 miles of all-electric driving range. Moers does not have the exact power numbers just yet, but it is somewhere between 1,050-1,100 horsepower and has a thermal efficiency of 41 percent making it the most efficient road-going car to date. The engine will act as a stress member when paired with its F1-style carbon fiber monocoque chassis. 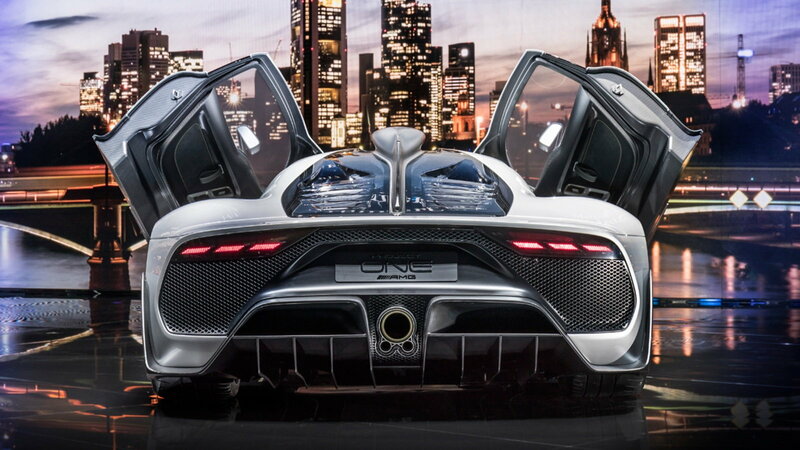 The Project One will utilize upwards of 8 active aerodynamic systems to move the rushes of air to where it is needed. While it is not expected to challenge for the outright lap record of 6:11 at the Nurburgring Nordschleife, most anticipate that it is likely to run well under the 7-minute mark. Only 275 cars will be built with each costing nearly 3 million dollars, but some will undoubtedly say that it is money well spent for what is essentially a street-legal Formula 1 racer.